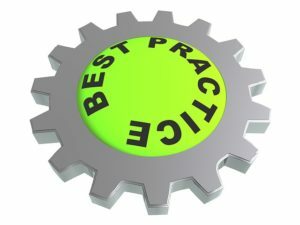 Ever wonder what people mean they talk about “best practices?” Well, for SEO and web design lead services, it just means exercising the best principles to get the best results for the business. And lucky for you, we’ve got a full list of best practices that could serve you will in your next potential lead acquisition. Here are a few SEO and web design lead best practices you should incorporate, immediately! When you’re making calls to leads, or receiving call-backs, it’s essential to measure statistics such as call length, call quality, the callback rate, closing percentage, etc. This can help create standards for closing leads faster and accumulating a list of things to avoid when closing leads. It’s common practice to sign up for an email marketing service. This way, every lead you get from us gets loaded into a chain of pre-written “follow up” type messages that come from your company. This enables you to keep from letting any lead slip through the cracks. Oftentimes, leads you might not reach in the first few days will respond (weeks later even) to one of your “follow up” messages. So, keep a look out. At this point, you can probably tell that, we at Web Leads are not just in the business of selling SEO, web design or call center leads, we’re extremely involved in our clients’ businesses. We want to help your business reach its fullest potential by providing a reputable and honest service that will positively affect your sales. We won’t provide you with “cheap labor leads.” We only deal in quality because our clients deserve only the best. But enough about us, experience the results for yourself.